Taiwo Oyerinde is a female firefighter in the Nigerian capital, Abuja. 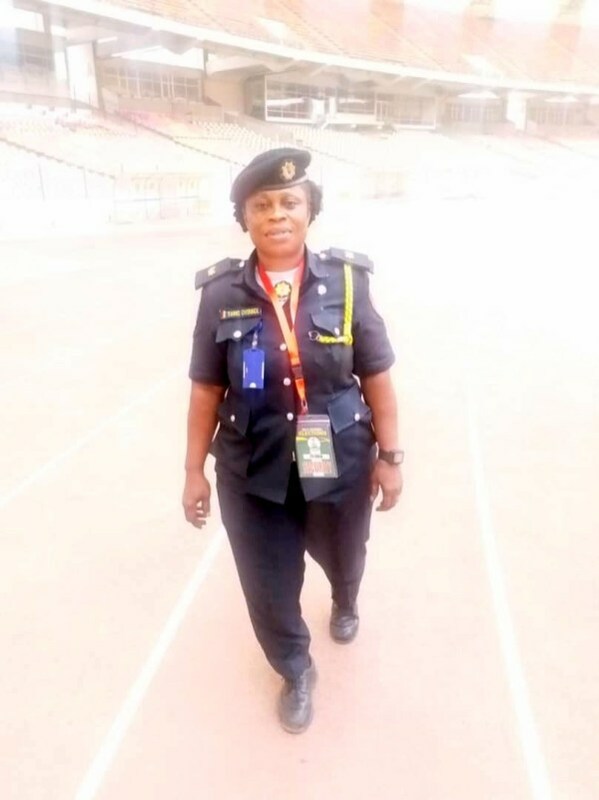 The 53-year-old indigene of Ogun State joined the Federal Fire Service Department immediately she left secondary school in 1986 in Lagos State, but later obtained higher educational certificates. In this interview with Premium Times’ Oge Udegbunam, the firefighter speaks on her career and other issues. PT: What are the challenges you face as a woman firefighter? PT: How do you balance your career and family? I chose my career before my family came in, so I have to blend them. It is not easy, but I don’t allow either of them to suffer. I work when duty calls and attend to my family at the right time. PT: What is your advice to young girls about their career? They should blend the family and their careers. Your career should come first but don’t allow your home to suffer. As a woman, your family needs your presence. Young girls should ask for more strength from God to be women of integrity that can handle both career and family. PT: Was firefighting your dream as a child? No, it wasn’t. But I found myself here, and I’m enjoying it. PT: How did you feel initially in a male-dominated profession? It is always crazy. Men will always feel like heroes. But as a woman, I am bold, I know my job, and I am capable of what I am doing. These will earn you respect from men. You will become a boss like them. Walking with my head high without feeling humiliated, without feeling terrorised or feeling less has helped me all these years. I have made up my mind. There is no firewoman we are all firemen. PT: How does your family feel about your profession? PT: Is this going to be a lifetime job? I will retire in it as a professional. Then I will continue after retirement. PT: How do you intend to continue? I want to be a fire consultant, I want to be a fire contractor. I believe it is a way I can help my community to protect and prevent them from fire hazard. I want to do it as a humanitarian service. PT: What are your most memorable moments in the job? Many memorable moments. When I was a secretary at a conference, I enjoyed it. The times when I did a good job and my boss appreciated me made me feel happy. PT: Have you ever been scared at work? No. From the beginning, I knew it was going to be part of me. Whether it is a small fire or a big fire, as a heroine, I approached it with courage. PT: Have you ever been sexually harassed? Being in a male-dominated profession, it is unavoidable. It happens, it is normal. When men desire you, as a disciplined person, you should know how to go about it. PT: Will you allow your female child to do this job? Yes, if they want to, I will advise them to do it. I will give them the support they need. PT: If you were the head of the Nigerian Fire Service, what will you have as a priority? Firstly, staff welfare, which is of great importance. New equipment in the industry, training of the trainer, and training staff both at local and international levels.